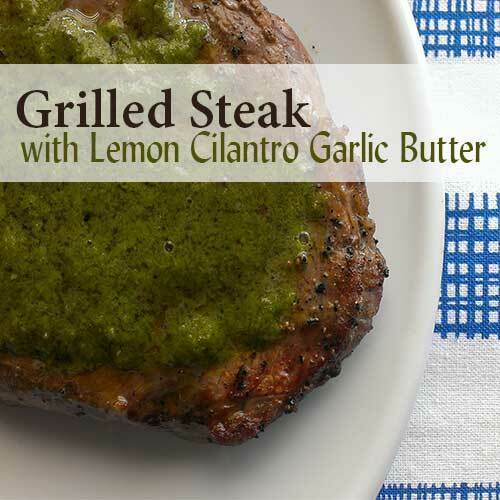 Share the post "Grilled Steak with Lemon Cilantro Garlic Butter Recipe"
Butter on Steak can be eaten by any foodie in a good steak restaurant. This recipe is a twist on the the classic recipe, instead of plain butter it uses a flavored lemon cilantro garlic butter. Ingredients for the lemon cilantro garlic butter. 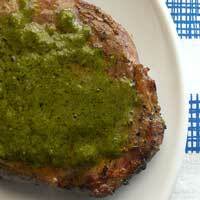 In a blender or food processor combine the soften butter, garlic, cilantro, lemon juice and black pepper. Blend until smooth. Heat grill to high. Season the steaks on both sides with salt and pepper. Grill until lightly charred and crusty on both sides. This will take four to five minutes. Turn the steaks over, reduce the heat. To medium and grill until medium-rare which will take approximately eight to ten minutes longer.